NRS 205.060 states a person who, by day or night, enters any house, room, apartment, tenement, shop, warehouse, store, mill, barn, stable, outhouse or other building, tent, vessel, vehicle, vehicle trailer, semitrailer or house trailer, airplane, glider, boat or railroad car, with the intent to commit grand or petit larceny, assault or battery on any person or any felony, or to obtain money or property by false pretenses, is guilty of burglary. 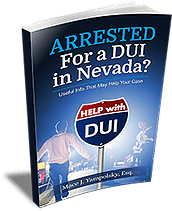 A conviction for burglary requires that the suspect merely having the criminal intent at the time of entry is sufficient under Nevada Burglary Law. The prosecutor must also show that the person identified made an unlawful entry into a structure and that the entry was made with the intent to commit any crime inside (not just theft/larceny). Intent to commit a crime can be difficult to prove. The prosecutor has to be able to prove that the suspect intended to commit a crime.No physical breaking is required to commit the crime of burglary. It is enough that the suspect trespassed. Any entry onto someone’s land or property without permission is trespass. Burglary may be committed by entering through an open door. Burglary is a lesser offense than robbery. For a person to be convicted of robbery, there has to be the use of force or fear to obtain another person’s property. Burglary can happen even when there is no person present. What are the punishments/penalties of a conviction? A person convicted of burglary is guilty of a category B felony and shall be punished by imprisonment in the state prison for a minimum term of not less than 1 year and a maximum term of not more than 10 years, and may be further punished by a fine of not more than $10,000. A person who is convicted of burglary and who has previously been convicted of burglary or another crime involving the forcible entry or invasion of a dwelling must not be released on probation or granted a suspension of sentence. On January 24, 2018, the Henderson police received a late-night call about some suspicious activity at a gun store at 2980 St. Rose Parkway. When they arrived on the scene, the first thing they saw was a broken glass door. No one was in the store, and whoever had broken the glass door was nowhere to be seen. Several rifles appeared to have been taken. The police were aware of a similar incident in the 6500 block of North Decatur Boulevard in North Las Vegas at about 5:10 a.m. on Dec. 15, 2017. A cash register and some cash were missing from the business. The business was equipped with a surveillance camera, and it showed a young man and woman in the store earlier that night after the store was closed. The police suspected that the two incidents were related. Assuming that arrests were subsequently made, what things would the prosecutor have to prove and what difficulties might she have proving them? The gun store theft presents an identification problem. The suspect’s attorney would surely question how the arrested person had been identified. The broken glass door pointed to unlawful entry, but what evidence was there that established that the person who had been arrested was the same person who broke the door window? What evidence was there that the suspect meant to take the rifles, or that the guns were taken at the time the door was broken? The surveillance camera may have taken pictures of the cash, and cash register being taken, but did it? The young man and woman shown may have entered with the intent to take the money and cash register, but where’s the proof of that? If all the camera shows is a young man and woman standing in the store after the store was closed, is that enough for a conviction? A good criminal defense attorney will want to know the answers to these questions and more.